The Turkish Delegation Has Сhecked the Readiness of Equipment for Commissioning - ! Equipment for Transformer Oil Reclamation. GlobeCore. But during servicing, turbine oils are affected by a wide range of negative factors such as gasses and gaseous products, water and mechanical impurities. As a result, oil gets old and loses its performance characteristics. The GlobeCore CMM-8.0 unit is designed for degassing, dehydration and filtration of turbine oils. The application of such kind of equipment allows for oil’s service life extension and cost reduction on the new oil purchase. The Turkish delegation has controlled the equipment testing that showed the readiness of the CMM-8.0 for operation. The signing of the Work Completion Certificate was the logical result of this visit. We had also a great opportunity to communicate with the employee of Andritz Hydro LTD – Irsad Akaydin. That’s what he said: “We have arrived at the GlobeCore production facilities to test the equipment. Everything was great. 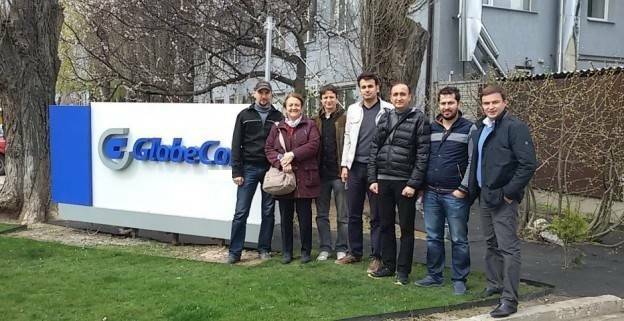 I haven’t heard about GlobeCore technology before that’s why we gained great experience visiting this company. We are also very happy to have visited production shops and got acquainted with the peculiarities of the works carried out”.